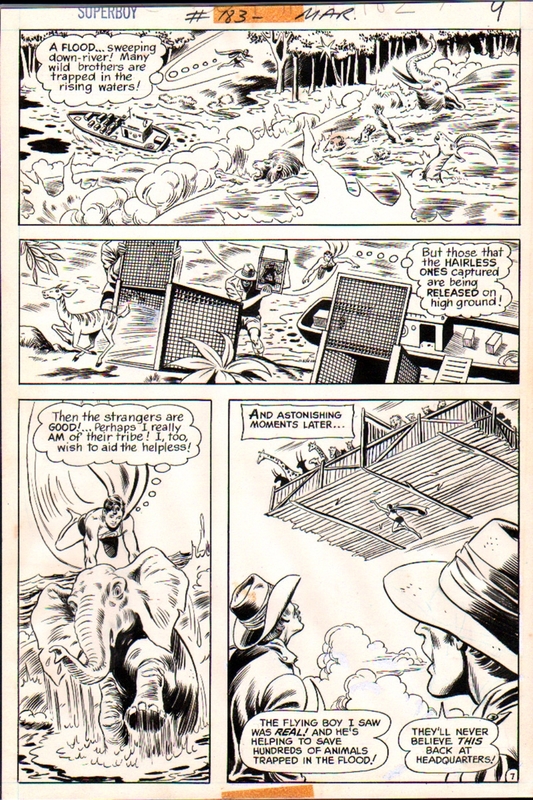 VERY nice 1971 Superboy page from the story titled: "Karkan the Mighty -- Lord of the Jungle!" featuring Superboy being raised by apes. Page has FINISHED pencils and FULL inks by the great MURPHY ANDERSON! COOL!